Overlapping expressions of ebullience, struggle, heroism, community, affection, wit, brilliance and inspiration - but also of fear, vigilance, alarm, apprehension and grief. 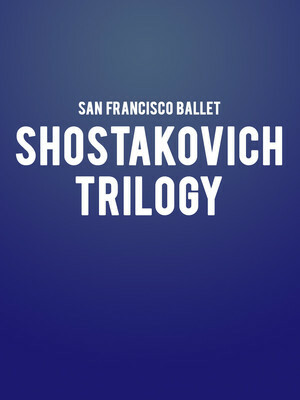 Why See San Francisco Ballet - Shostakovich Trilogy? San Francisco Ballet revives Alexei Ratmansky's 'masterpiece' work, the Shostakovich Trilogy. Described as "fascinating, poetic, enigmatic and bittersweet" by The New York Times, the production was originally performed by the American Ballet Theatre and premiered in San Francisco in 2014, where it won rave reviews from critics and audiences alike. 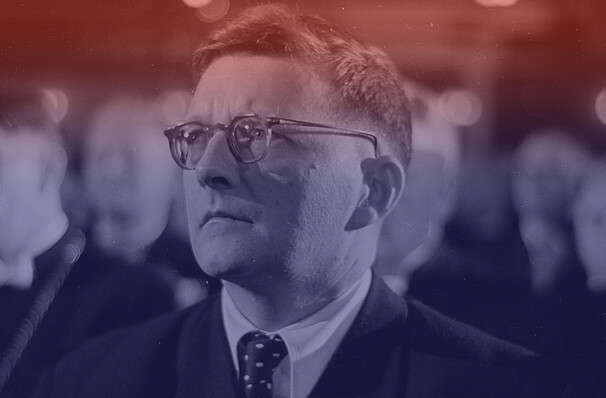 Comprising of three unique and ravishing ballets sets to Shostakovich's Symphony #9, Chamber Symphony, and Piano Concerto #1, the trilogy is non narrative yet no less impactful, lyrically weaving the scores to the composer's own life and experiences in Soviet Russia where themes of rebellion, oppression and expression are explored with 'enduring genius' by Ratmansky. Sound good to you? Share this page on social media and let your friends know about San Francisco Ballet - Shostakovich Trilogy at War Memorial Opera House. Please note: The term War Memorial Opera House and/or San Francisco Ballet - Shostakovich Trilogy as well as all associated graphics, logos, and/or other trademarks, tradenames or copyrights are the property of the War Memorial Opera House and/or San Francisco Ballet - Shostakovich Trilogy and are used herein for factual descriptive purposes only. We are in no way associated with or authorized by the War Memorial Opera House and/or San Francisco Ballet - Shostakovich Trilogy and neither that entity nor any of its affiliates have licensed or endorsed us to sell tickets, goods and or services in conjunction with their events.